This entry was posted on Wednesday, November 5th, 2014 at 14:15 and is filed under Locks. You can follow any responses to this entry through the RSS 2.0 feed. You can leave a response, or trackback from your own site. 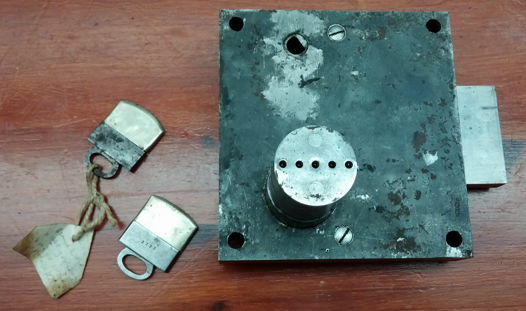 There’s a lot of locks based on a similar principle of finger pins on a push key, but I think that’s the first serious safe lock I’ve seen based on it. The key looks like a nightmare, too. 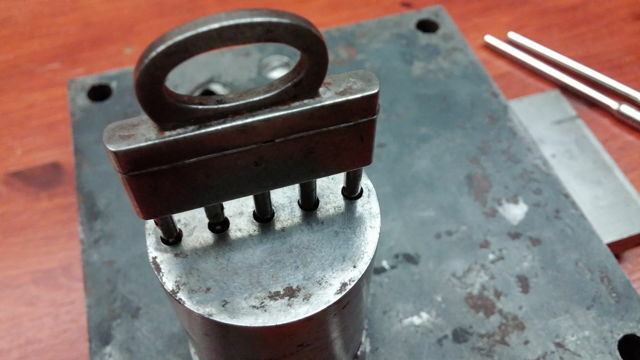 At least they made the tips of the key hollow to align with the points in the lock. But one dent, and it’s not going to be working anymore. Plus it’s a giant square thing, made worse by the required cap to stop the key getting bent or dented! 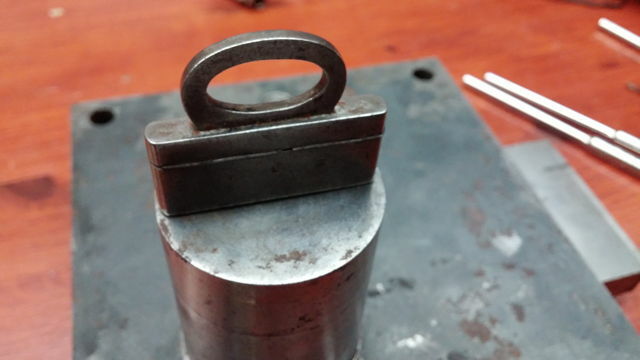 The key is very similar, it fits into the knob/handle of the safe. 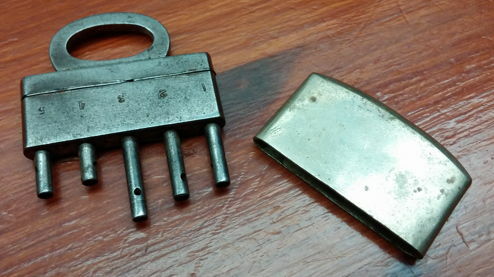 The lock was nicknamed the grasshopper lock because of the tendency of the key to jump out of the lock after locking it. Entries (RSS) and Comments (RSS). 52 queries. 0.746 seconds.